Happy New Year party people!! Woo Hoo, we made it! Another 365 (okay, there’s really only 362 left at this point) days to pursue every opportunity life provides to the fullest. No matter what your goals are for this 2011: lose weight, stop calling that ex for the 2am hook up, purchase some real estate, eat healthier, reunite w a long lost friends/ family members, treat yourself to a vacation, go back to school, volunteer, or even learn how to work a pole like a professional; always remember it’s one foot in front of the other. Let’s Get It!! And in the spirit of newness, it is my pleasure to announce the winner of the Mitzi Moments Gap Goal Giveaway for a free pair of GAP jeans…. Woo Hoo! Congrats my dear! Thank you for rocking with The Mitzi Moments and I wish you the best of luck on your goal on increased fiscal responsibility in 2011. NO EATING OUT FOR YOU!! Well on a brighter note, it’s time for the next Mitzi Moments Holiday Giveaway. Oh and since we’re rolling up on Christmas and I know you most of guys are all bailing out from your computer in t-minus 72 hours, I’m going to extend this contest until the very end of the year. That way, you’ll have more than ample time to enter AND tell a friend. WOO HOO!!! • Leave A Comment telling me one SPECIFIC goal (NOT A BEHAVIOR or TRAIT) that you plan to achieve in 2011. • If you’re not already, Be/Become a Mitzi Moments Subscriber (you MUST verify your email subscription to qualify). 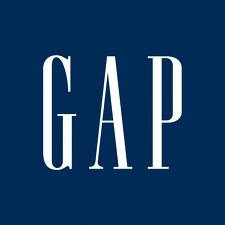 • TWEET I just entered the @MitziMoments Gap Goal Giveaway for a free pair of GAP jeans. • BECOME a Mitzi Moments Member through Google follower OR subscribe to the Mitzi Moments RSS feed here on the site. • FOLLOW @mitzimoments on Twitter (send me a Tweet letting me know you’ve done so). • BLOG about this giveaway. • JOIN the official Mitzi Miller Author/ Journalist/ Opinionated Personality Facebook Fan Page HERE (leave a comment on the FB page letting me know you’ve done so). THIS CONTEST ENDS AT 9:30A.M. on FRIDAY, DECEMBER 31, 2010. THE WINNER WILL BE ANNOUNCED ON MONDAY, JANUARY 3, 20111. It is only open to residents in the continental U.S.
What can I say, another Friday, another winner! 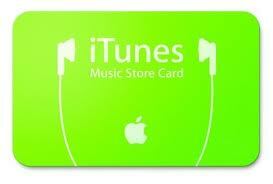 Anyhoo, congrats on winning an iTunes gift card my dear! 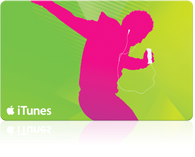 Have so much fun picking out 10 free songs for your iTunes Library. Hopefully, you’ll purchase scandalous songs that make you wanna twerk a little something for no good reason… Oh and feel free to name that playlist after me! More giveaways, more giveaway, more giveaways!!! So in direct response to what can only be described as a lackluster year for album releases (i.e. SouljaBoy’s tragic Soundscan numbers), I’ll be doing my part to help the entertainment industry by gifting one Moments member a gift card for 10 Free Songs on iTunes. And even if you don’t give a damn bout that new Diddy-Dirty Money foolishness dropping tomorrow… Who couldn’t use some new Jazmine Sullivan on the iPod or MP3 player of choice to help you zone out during these frantic last minute holiday shopping days? • Leave Me A Comment telling me one bad habit you plan to leave behind in 2010. THIS CONTEST ENDS AT 9:30A.M. on FRIDAY, DECEMBER 17, 2010. THE WINNER WILL BE ANNOUNCED ON FRIDAY, DECEMBER 17, 2010. 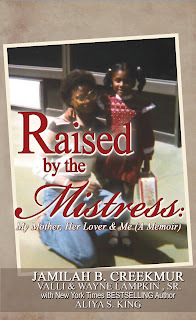 It is only open to residents in the continental U.S.
Congrats my dear on winning an autographed copy of Raised By The Mistress by Jamilah B. Creekmur. And it just so happens that as of today, the memoir has sold out for the THIRD time on amazon.com!!! And the Holiday Giveaway train continues to roll. 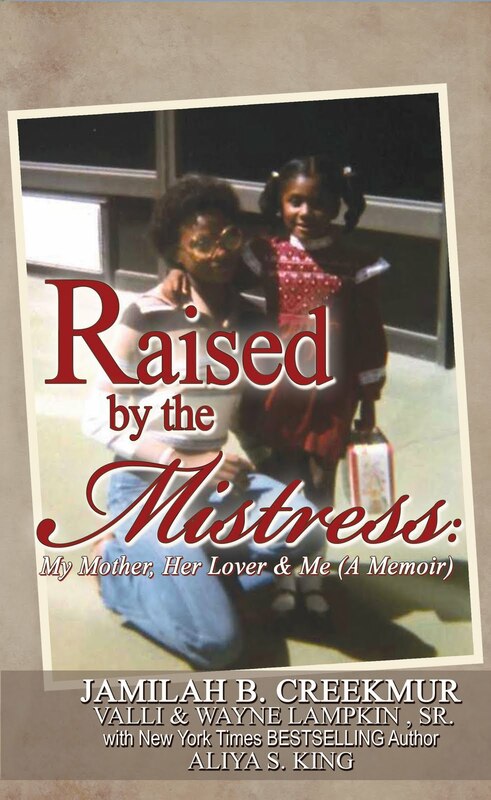 This week, I’m excited to gift one lucky Moments reader with an autographed copy of Raised By The Mistress: My Mother, Her Lover & Me by Jamilah B. Creekmur. I have to tell you, I’ve enjoyed reading a lot of great books this year. But this memoir from the perspective of a child who is aware of the fact that her mom was a sidechick BEFORE it become such an acceptable way of life (looks directly at Alicia Keys) is fantastic. Written with New York Times bestselling author, Aliya S. King; Jamilah keeps it all the way real from beginning to end. Oh and wait on it…. the book even includes chapters written by her mom and Mr. Wayne, the man her mom was intimately involved with for almost 20 years. Trust me, even if you’re not a “reader” you’ll still get caught up in the drama of this book. • Leave Me A Comment telling me the kindest thing you’ve done for someone else in 2010. THIS CONTEST ENDS AT 9:30A.M. on FRIDAY, DECEMBER 10, 2010. THE WINNER WILL BE ANNOUNCED ON FRIDAY, DECEMBER 10, 2010. It is only open to residents in the continental U.S. Nothing make a woman feel better than when her hair is looking correct… okay, almost nothing. But since I can’t really help you with the other things, it’s my pleasure to at least help one Moments member get her head right with the Karen’s Body Beautiful ‘Keep It Soft Survival Kit’ full of some of my fave products. Congrats Ms. Jones!!! 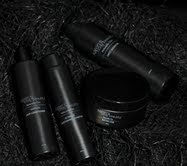 May the Survival Kit keep your hair bouncing and behaving during the harsh winter months!! Whew, the Lord knows I live for a fabulous vacation-especially when there is warm weather and good food involved. And while Buenos Aires was every bit of the once-in-a-lifetime blast I imagined, it feels really, really good to be back in the States. But wait on it… in the spirit of for the holiday season, over the month of December I’ll be giving away some of my favorite goodies. Now don’t. get. crazy. I ain’t Oprah. But you know, it’s a lil something to say thanks for keeping up with my special brand of tomfoolery over the past year. Anyhoo, enough of the sentimental, I love you guys crap. The first giveaway is from my latest beauty find: Karen’s Body Beautiful. The luxurious Brooklyn based spa offers manicures, pedicures, facials, waxings and a wide array of specially tailored packages for couples, newlyweds, mothers-to-be and bridal parties. 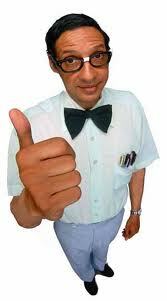 But most importantly, sells a line of hair products that are to seriously, to DIE for. Made with all natural products, my favorites- the shampoo and conditioner- are a godsend for chicks rocking natural ‘dos and probably even better for those who have chosen the way of the lye. Simply put, it’s the business. Instead, enter for a chance to win their signature, Keep It Soft Survival Kit. which includes the Ultimate Conditioning Shampoo, Complete Hair Conditioner, the Butter Love creme and the Sweet Ambrosia leave-in conditioner. • Leave Me A Comment telling me the best thing you’ve done for yourself in 2010. THIS CONTEST ENDS AT 9:30A.M. on FRIDAY, DECEMBER 3, 2010. THE WINNER WILL BE ANNOUNCED ON FRIDAY, DECEMBER 3, 2010. It is only open to residents in the continental U.S.. WOO HOO!!!! Congrats on your new t-shirt ladies! To claim your prize, please send an email with all of your mailing info to: mitzimoments@gmail.com.